The Durham York Energy Centre, originally expected to be running last December, is now expected to be fully operational by August. 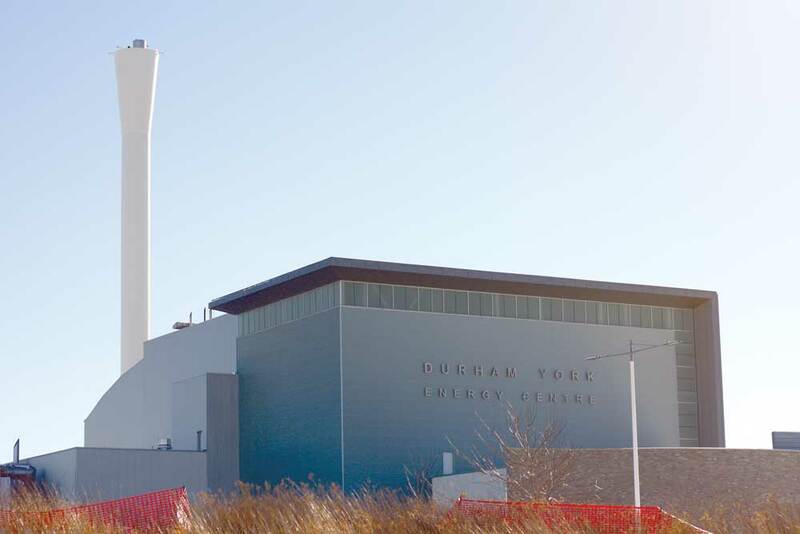 The Durham York Energy Centre is not expected to be fully operational until August, well past its initial December 2014 deadline. That’s according to Greg Borchuk, a project manager with the Region of Durham. As of Jan. 12, as part of its contract with the region, Covanta – the private operator of the incinerator – must pay Durham $10,000 for each day the plant is not online. This means that as of April 22, the payments will total $1 million. Borchuk explains the delay comes down to construction taking much longer than was expected. There has been some progress at the site, with the incinerator’s power-generating abilities being shown as working. “We have recently tied into the Hydro One and provincial grid for electricity. We checked that system out in the past week, and that works,” he says. At the last meeting of regional council, Cliff Curtis, the region’s works commissioner, said that the plant was briefly taken offline earlier this year. Borchuck says that Curtis may have been referring to what he sees as part of the job when it comes to setting up new equipment: it doesn’t always work the way it should right out of the box. “When you put any brand new machine or equipment together, there is always pieces that don’t quite work the way they should, so either you have to kick them out of commission, tune them, fix them or in some cases replace them because the part was defective,” he says, adding that the incinerator is now burning waste again. Now, the plan is to keep moving through the various stages of completion so that the plant can be fully operational, Borchuk says. If all progresses, the plant should be fully operational by August, he adds.